This Halloween you can drag your bones to a theater near you for an all new way to experience Tim Burton’s “The Nightmare Before Christmas.” Beginning October 18 in select theaters, The Walt Disney Studios invites fans to join Jack Skellington for a spooktacular special engagement of Second Screen Live: The Nightmare Before Christmas, an interactive movie going experience. 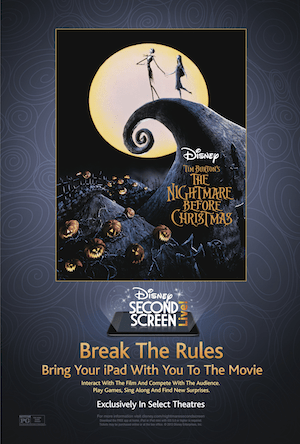 You can download the Second Screen Live: The Nightmare Before Christmas app and bring your iPad to the theater to explore the cult classic from the mind of Tim Burton and become part of the story like never before! More information below. Beginning October 18 in select theaters, The Walt Disney Studios invites fans to join Jack Skellington for a spooktacular special engagement of Second Screen Live: The Nightmare Before Christmas, an interactive movie going experience. 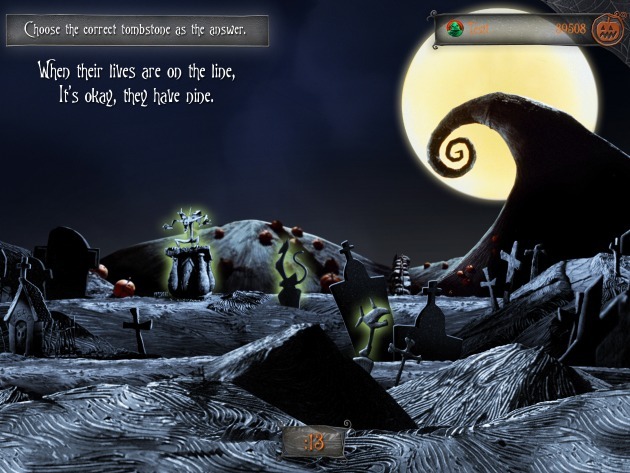 Be sure to bring your iPad to the theater to explore the cult classic from the mind of Tim Burton and become part of the story like never before, engaging with the film in real time through songs, games and audience participation, including competition between friends and teams. Second Screen Live is an all-new Walt Disney Studios mobile application that enhances the theatrical movie going experience. Unlike the traditional theatrical experience, Second Screen Live is a special screening event for iPad users only where moviegoers are encouraged to “break the rules” and experience a classic film in an exciting new way through gameplay on their tablet device. If you are not familiar with the movie, here is a brief summary for you: Bored with the same old scare-and-scream routine, Pumpkin King Jack Skellington longs to spread the joy of Christmas. But his merry mission puts Santa in jeopardy and creates a nightmare for good little boys and girls everywhere! 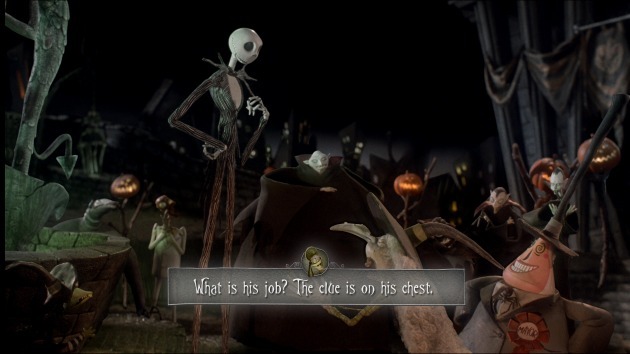 This amazing cult classic produced by Tim Burton, who also produces Edward Scissorhands and Corpse Bride, features the cast of Chris Sarandon (The Princess Bride) as Jack Skellington speaking voice, Danny Elfman (Simpsons) as Jack Skellington singing voice & Catherine O’Hara (Home Alone) as Sally.